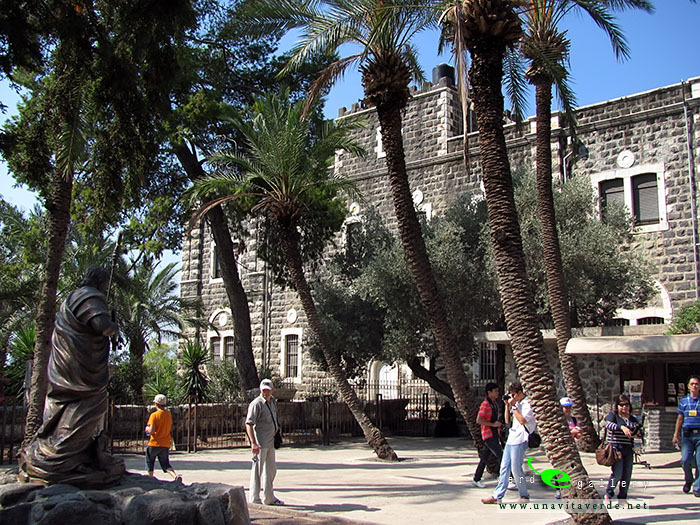 Capernaum is an ancient fishing village on the north shore of the Sea of Galilee in Israel. 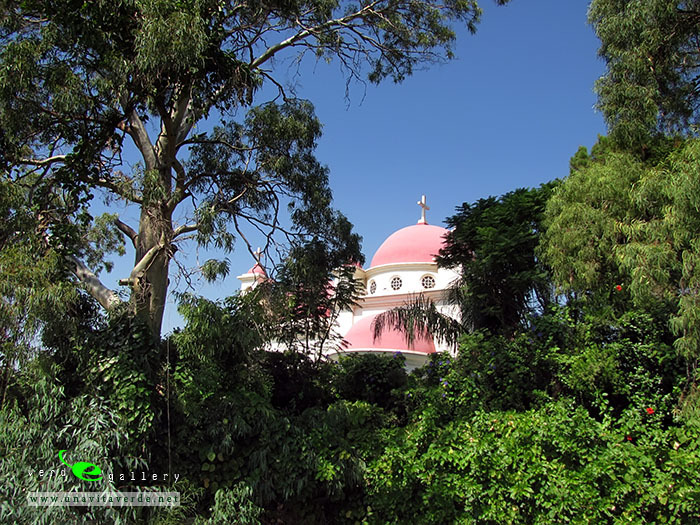 It’s home to a celebrated Byzantine-era synagogue as well as the house where Jesus healed a paralytic and St. Peter’s mother-in-law. 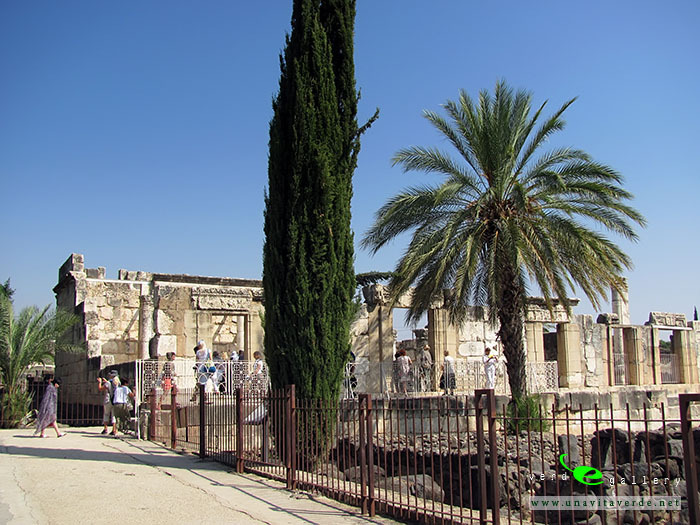 Capernaum was a Jewish village in the time of the Christ. 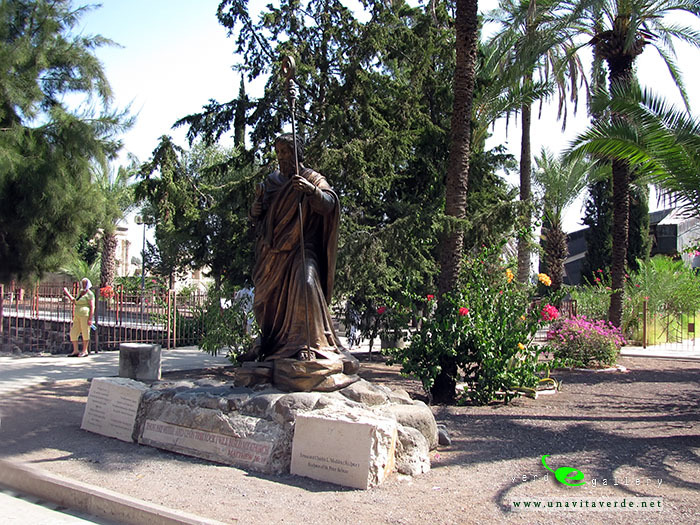 It was apparently poor, since it was a Gentile centurion that built the community’s synagogue (Luke 7:5). 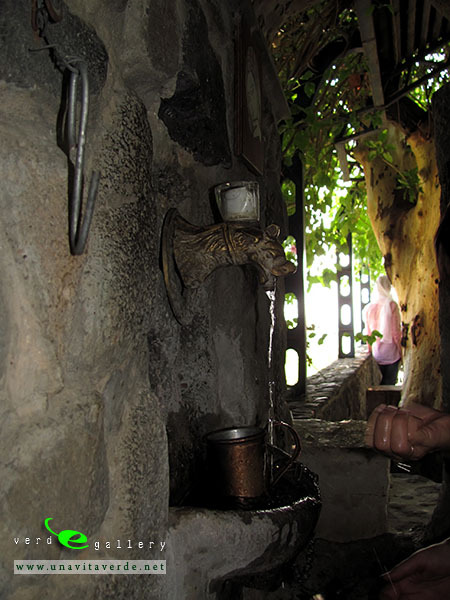 The houses were humble and built of the local black basalt stone. 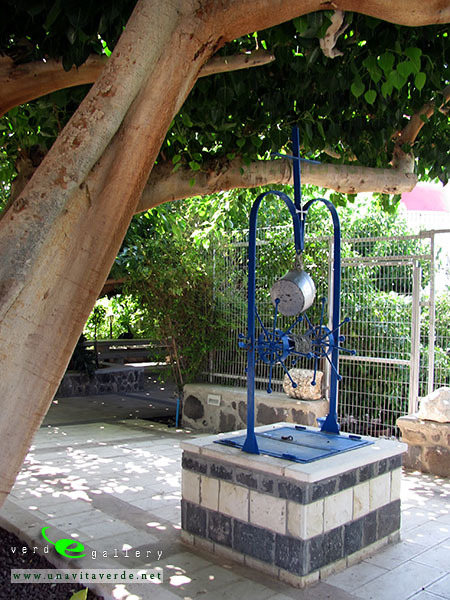 Christian presence is attested early in Capernaum and the village was predominantly Christian by the 4th century AD. Rabbinic texts from the 4th century imply considerable tension between the Jewish and Christian communities of the town. Both the church and synagogue were destroyed prior to the Islamic conquest in 638. One possible scenario is that the Persian invasion of 614 gave the Jews the opportunity to act on their resentment of the now-powerful Christian community and demolish the church. In 629, the Byzantine emperor and his troops marched into Palestine, and under this protection the Christians may have destroyed the synagogue. 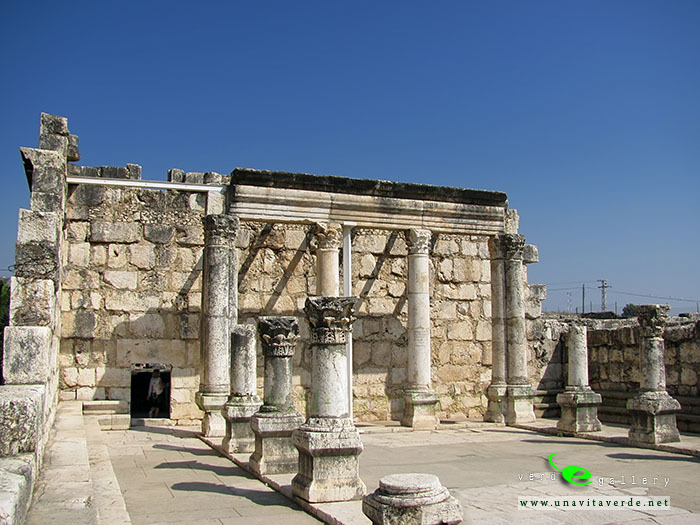 The synagogue of Capernaum is located just inland from the shore with its facade facing Jerusalem. It has been difficult to date, with scholarly opinion ranging from the 2nd to 5th centuries. 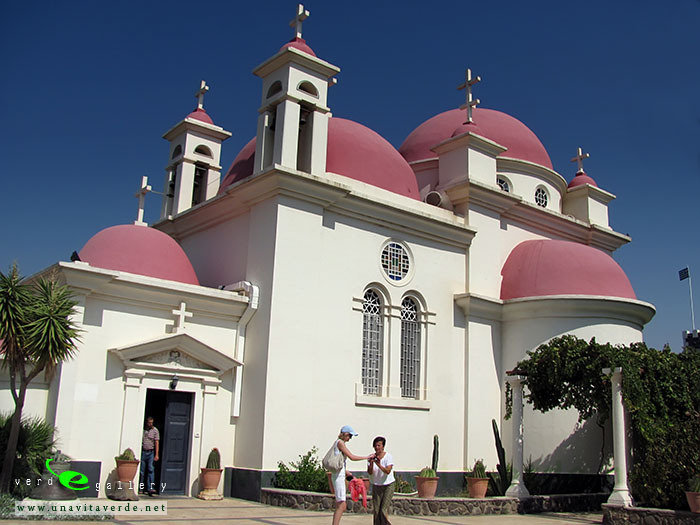 It stands on an elevated position, was richly decorated and was built of imported white limestone, which would have contrasted dramatically with the local black basalt of the rest of the village. All of this would have given the building great beauty and status. What to See? The ruined synagogue and the Greek Orthodox church stand quite close to each other near the shore, with ruins of 1st-to-6th-century houses in between. 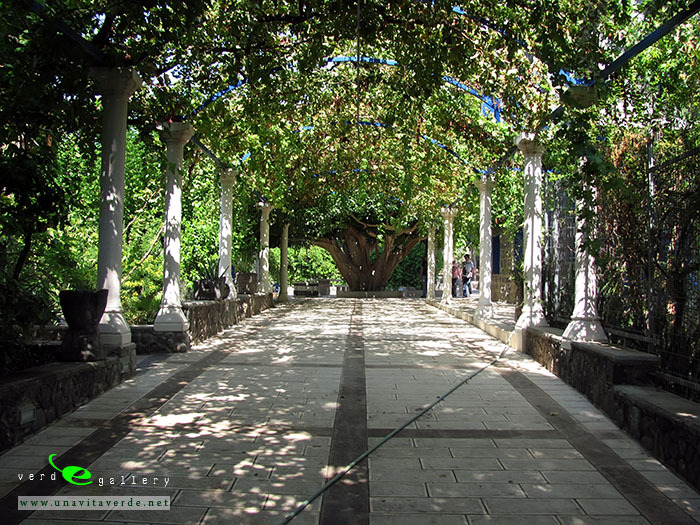 Also on the place are finely carved stones that belong to the synagogue, and a new Greek Orthodox church nearby. 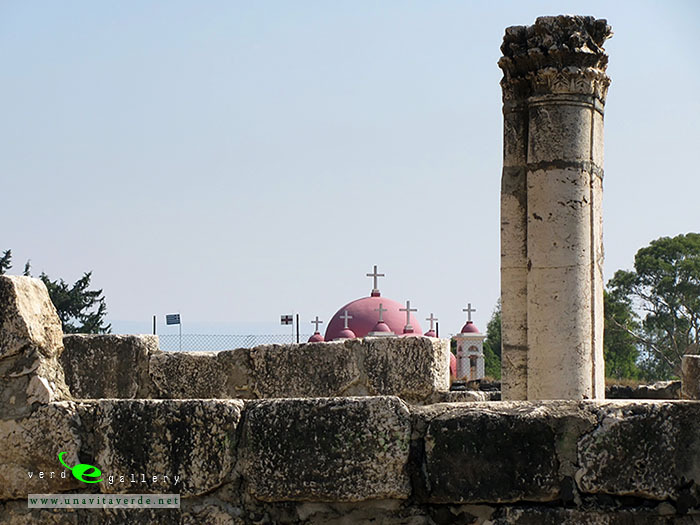 Around the Greek Orthodox church the remains of the village have not yet been excavated, unlike the synagogue of Capernaum and the buildings around it.